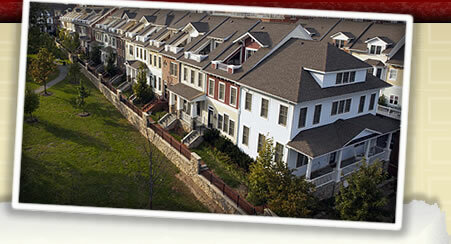 Welcome to the website for the Clarendon Park Townhouse community in Arlington, Virginia. Here you will find helpful information for owners, tenants, and visitors. We welcome your comments and feedback. Thank you for visiting. Should any homeowner or resident notice problems with the gate or other community issues please contact the Clarendon Park community manager Chelsie Throckmotron at Camp Management. She can be reached at cthrockmorton@gocampmgmt.com or 571-363-4052. The Clarendon Park Homeowners Association will hold their next meeting via conference call on Tuesday, February 12 at 7:30 PM. All homeowners are welcome to participate but only board members can vote on official matters. The phone number and passcode will be mailed to homeowners. This call is for homeowner participation only. 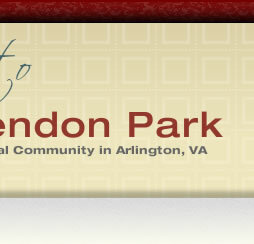 The Clarendon Park HOA Board will meet via conference call on Tuesday, November 6 at 7:30 PM. The board will discuss the ratification of the snow removal contract, the 2019 budget and property repairs. To participate please call 1-605-472-5633 and use access code 714593. The Clarendon Park Homeowners Association board meeting that was scheduled for Wednesday, May 9 has been canceled due to scheduling conflicts for board members. The meeting will be rescheduled soon and the date will be posted to the website. The Clarendon Park Homeowners Association Annual Meeting will be held on Wednesday, August 8 at 7:30 PM. All homeowners are welcome and encouraged to attend. The meeting will take place in the community room at the Market Common apartments. The public entrance to the space is located between the Joseph A Bank store and the parking garage. When you enter the building notify the concierge that you are attending the Clarendon Park HOA Annual Meeting and you will be directed to the space on the 2nd floor. There is not a public entrance on the second floor. The meetings will be held in the meeting room in the Market Common apartments. The entrance to the meeting space is located between the Joseph A Bank store and the entrance to the parking garage. You should enter the apartment building and inform the desk you are attending the Clarendon Park Homeowners Association meeting. You will then be directed to the 2nd floor meeting space. There is not an open entrance on the second floor for the public. The Market Common Shopping Center will be making repairs to their loading docks on May 8 - 11, 2017 from 8:00 AM until 4:00 PM each day. The repairs will require noisy jack hammering. The HOA board will work with the shopping center management to make sure the repairs are kept to working hours and don't hinder homeowner activity. Clarendon Park neighbors have been invited to an open house at the Market Common Shopping Center. The open house is scheduled for May 10, 2017 from 6:00 PM until 8:00 PM and will be held in the courtyard across from Barnes & Noble. Come share your ideas for the future of the community, meet the new management and enjoy complimentary tastings from Market Common restaurants. The Clarendon Courthouse Community Association will hold its next meeting on Tuesday, March 15 at 7:30 PM. The meeting will be held in the community room at 2500 Clarendon Blvd. The primary discussion of the meeting will be community bar crawls. Organizers of this past weekend's bar crawl along with county staff who work the event will be in attendance. We encourage homeowners with strong views on this issue to show up and participate. 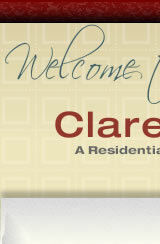 The Clarendon Courthouse Civic Association has a new website which is http://www.clarendoncourthouseva.org. You can find lots of neighborhood activity and advocacy efforts on behalf of the citizens. Are Clarendon Park homeowners interested in starting a Facebook group? Our biggest investment as a community is the landscaping on our property. As a homeowner or tenant, you are responsible for taking care of the plantings, shrubs, and grass located directly around your unit. Please be sure to water these areas during the warm months and do not place any items such as pots, storage items, or hoses directly on the landscaping, as doing so may cause harm. If you have tenants, please let them know of this responsibility. Clarendon Park is our mutual investment so please help keep it nice. Individual homeowners may be charged for the replacement of plantings that die due to neglect. Special arrangements have to be made for larger items such as broken furniture by calling AAA Trash at 703-818-8222. You can also call that number to request a different size trash or recycle bin.